You are here: Home / By Age / Kindergarten / Candy-Free Valentine Free Printable~You’re so TWEET! 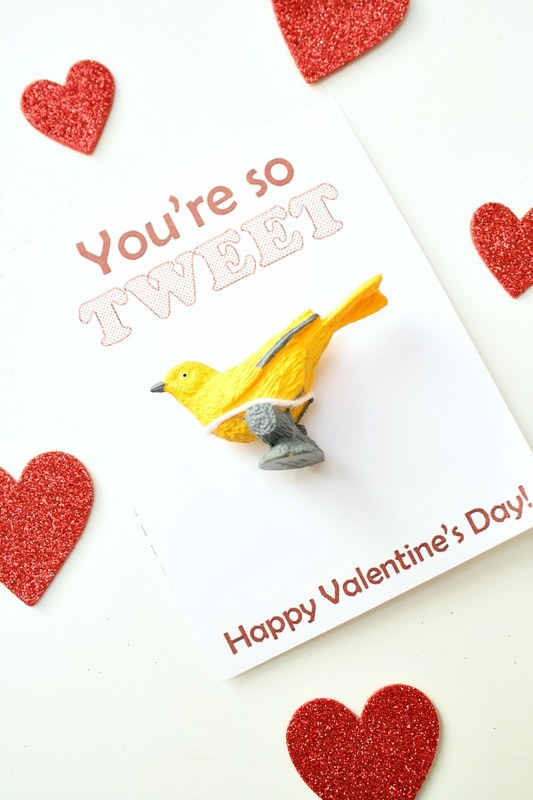 Candy-Free Valentine Free Printable~You’re so TWEET! 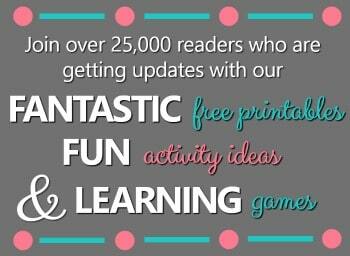 Last week we shared our fairy theme DIY valentines. The girls will also be giving out these bird theme valentines to some of their classmates. 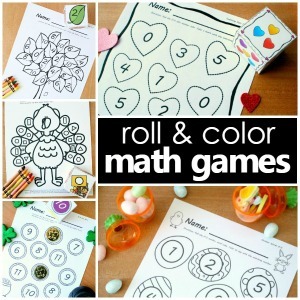 They make a great candy-free valentine gift that kids can enjoy playing with even after Valentine’s Day is over. As I mentioned before the Safari Ltd. Toobs are just the right size for attaching to DIY valentines. For our bird theme we used the Backyard Birds Toob. The Exotic Birds Toob would be another great choice for these valentines. Once you’ve chosen your birds, you’ll just need to download the valentine free printable below and print as many as you need for your child’s friends. Cut them out. Poke two small holes where you can lace ribbon or string through to attach each bird If your child would like to personalize the valentines you can take time here to write names or messages on the back of the valentines. Finally attach the birds. We used plain twine for our bird valentines. 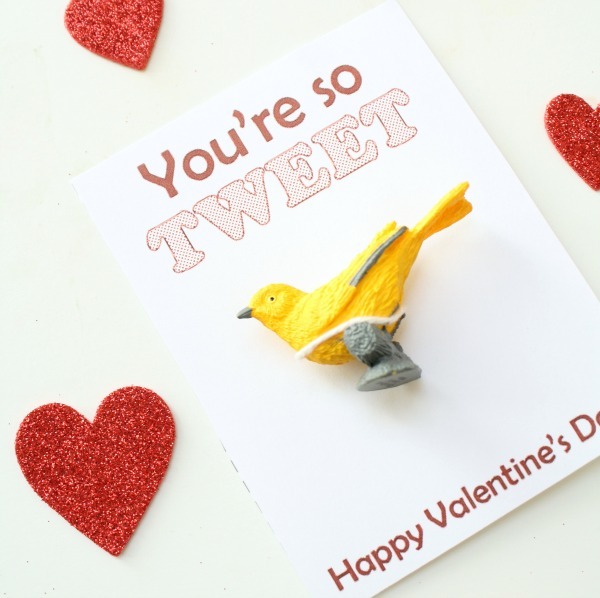 Have a very TWEET Valentine’s Day! 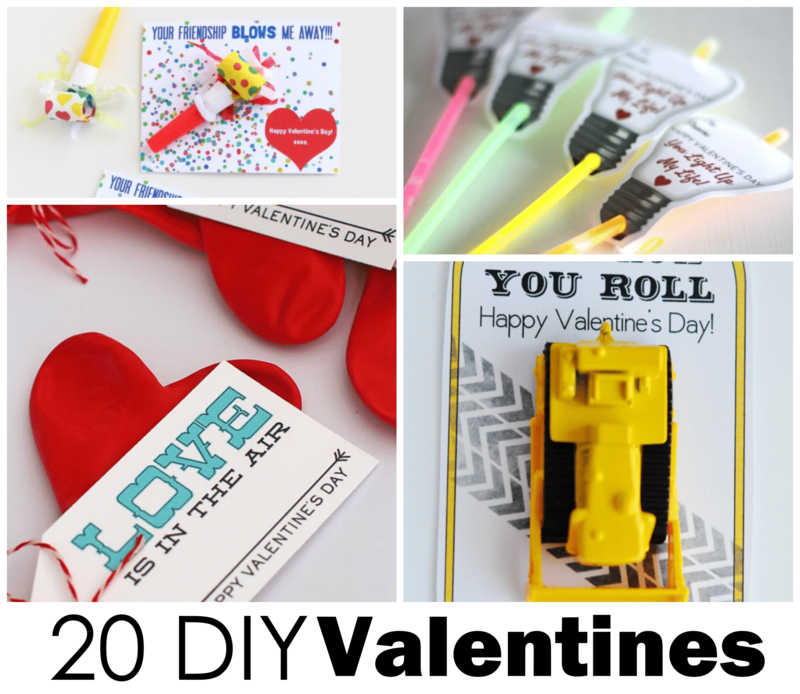 Get even more inspiration in our collections of creative DIY valentines!